New questions as oil company rules out acid injection in Weald wells – DRILL OR DROP? UK Oil and Gas plc (UKOG) said the process, which it described as matrix acidisation, could have a “significantly detrimental effect” on oil and gas flows. The company’s announcement has prompted questions about the previous use of acid at UKOG sites, as well as how acid operations are regulated and UKOG’s plans to improve oil flow in the Weald. Matrix acidising aims to increase the productivity of a well by pumping dilute acid into oil-bearing rocks surrounding the borehole. The acid enlarges natural fractures and fissures, releasing hydrocarbons more readily. But the pressure is not high enough to fracture the rock. “Crucially, the Portland and Kimmeridge rocks also contain significant amounts of microscopic clay particles bound within the rock. Consequently, as the lime dissolves, some of these clay particles are released into flow paths within the rock. “The ‘free’ clay particles then migrate towards the well and combine, forming a clay “sludge”, restricting or blocking some of the flow pathways, which can significantly reduce the well’s performance. Once blocked, the flow pathways cannot be reopened. But the statement also raises a whole new set of questions. 1 Did UKOG use matrix acidising? The UKOG statement implies that matrix acidisation may have been used at Broadford Bridge. A coiled tubing unit was used at the site, which could indicate that the process was carried out. But a company review of the Broadford Bridge operation said “acidisation was not selectively administered to any specific limestone horizon”. DrillOrDrop asked UKOG twice to clarify whether or not it carried out matrix acidising at Broadford Bridge. UKOG did not reply. 2 Did UKOG have permission for matrix acidisation? UKOG said in its statement that the process that it referred to as matrix acidisation “was fully permitted and approved by the Environment Agency”. So, if UKOG did use matrix acidisation at Broadford Bridge it did it without permission from the EA. Acid washing is a different process, which the EA says uses small quantities of a weak acid at low pressure to clean the well of drilling debris or scale (link). It is not intended to stimulate the flow of hydrocarbons. Crucially, the pressure is enough just to move the acid down the well and a short distance into the formation. But if UKOG used an acid wash, and not matrix acidisation, it raises more questions. 3 How would the Environment Agency know that only an acid wash was used? The EA assessed the acid wash at Broadford Bridge as “de minimis” to ground water. This means the input of the acid would be so small that it represented no present or future danger to the quality of groundwater. Under the de minimis rules, an activity is excluded from an environmental permit and is, at best, loosely regulated. Hypothetically, without this information, would the Environment Agency know if a company used greater pressure or larger volumes of acid or if it injected the acid further into the rock formation than would be expected for an acid wash? 4 How did UKOG learn the lessons of matrix acidisation? If UKOG did not use matrix acidisation, as the Environment Agency told us, how did the company know that matrix acidisation could have a “detrimental effect” on oil and gas flows into the well? DrillOrDrop put this question to the company. It did not reply. 5 Did acid wash block the flow pathways at Broadford Bridge? The UKOG statement referred separately to acid wash.
“a small volume of dilute acid, in our case 5% acetic acid (i.e. domestic strength vinegar) is left to soak for a couple of hours solely over the perforated zone”. If UKOG used only an acid wash at Broadford Bridge, did this operation cause the problems with the ‘free’ clay particles that formed a sludge, blocking the flow pathways and reducing the well’s performance? DrillOrDrop also put this question to UKOG. It did not reply. 6 Could flow problems happen elsewhere? UKOG described acid wash as “standard global oil field practice” used to dissolve lime in concrete debris left over from the drilling process. If it was acid wash, rather than matrix acidisation, that blocked the flow at Broadford Bridge, how could UKOG be sure this would not happen at other wells in the Weald and elsewhere in the UK? DrillOrDrop put this question to UKOG. It did not reply. 7 How would UKOG stimulate its wells without matrix acidisation? “Kimmeridge Limestone oil likely requires “stimulation” to flow to the surface at commercial rates”. Following the flow tests at Broadford Bridge, UKOG concluded that “other reservoir stimulation techniques” would need to be considered in future. If UKOG has ruled out matrix acidisation, what other options are available to stimulate the flow of oil? The company has previously said it was not carrying out hydraulic fracturing and did not intend to use this process in future. But would UKOG also rule out acid fracking? This is defined by the Environment Agency as pumping acid into surrounding oil-bearing rocks at pressures high enough to open new fractures and fissures. And would UKOG consider the use of fishbones, a new technique designed to deliver super-targeted jets of acid to fracture rocks? We asked UKOG what other options it was now considering. The company did not reply. 8 Why seek to squeeze? UKOG’s statement said it would use 5% acetic acid for the acid wash at a proposed new well site at Dunsfold, near Guildford in Surrey. This is a different acid at a lower concentration than that previously used at other UKOG sites. We know that UKOG had permission from the EA to use 15% hydrochloric acid at both Broadford Bridge and Horse Hill. There is photographic evidence from Horse Hill of tanks of Protekt 15, the proprietary name for 15% hydrochloric acid. The company told the Environment Agency it anticipated using a total of 95m3 over a maximum of three operations. The Horse Hill site has permission for acid wash and another process, which UKOG called an acid squeeze. The company’s waste management plan for Horse Hill said 15% hydrochloric acid would be “squeezed into the formation porous spaces”. The EA does not formally use the term “squeeze”. But the EA said in guidance that acid squeeze was another term for matrix acidisation or fracture acidisation. As at Broadford Bridge, the Environment Agency decided UKOG’s acid operations at Horse Hill were de minimis for groundwater. 9 Could an acid wash stimulate a well? Ada Zaffina, of Brockham Oil Watch, said EA guidance does not define clearly the difference between acid wash and stimulation of the rock formation using in acid. The energy minister, Claire Perry, said “acidisation refers to a number of techniques used to clean wells to improve productivity”. Brockham Oil Watch pointed to the decision document for the Horse Hill environmental permit, which said any operations above fracture pressure would require a separate permit. So, did this suggest that matrix acidisation – stimulation using pressure below fracture levels – was allowed? At Brockham, the EA said the volume of the acid wash should be 45m3, per well, which is relatively small. 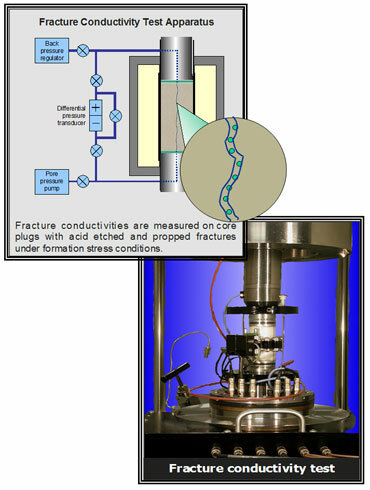 But the pressure could be anything up to the level needed to fracture rocks. If the interval to be treated was short the operation could easily stimulate the formation, Brockham Oil Watch said. 10 Is acid wash used in water wells? The UKOG statement said acid wash was standard practice in both global oil fields and limestone water wells. But campaigner and researcher, Kathryn McWhirter described the comparison as “spurious”. “Acidising is very rarely used for water wells. I have interviewed engineers working in the water industry. Water wells are typically much shallower than oil or gas wells. “When, rarely, they are acidised, water wells are treated with only hydrochloric acid, no partner chemicals. And crucially, water wells are drilled into a nice clean aquifer, whereas oil and gas wells are drilled into formations filled with fossil fuel, along with super-salty brine laced with heavy metals and possibly naturally occurring radioactive materials. Core analysis and scanning electron microscopy, both standard reservoir evaluation techniques, of the 554 feet of core taken in the BB-1 well, would reveal the chemical composition, clay mineralogy and diagenetic history of the rock and would indicate that this particular reservoir would be unsuitable for acidisation – which would answer your question 4. An excellent investigative report Ruth, thanks for putting the issues so clearly and concisely. Clearly UKOG have painted themselves into a corner on the use of matrix acidisation. Whether they used it without permission is now impossible to establish due to the EA’s crippled status. Again we are faced with the criminal lack of monitoring in the face of the self regulation excuse. How did UKOG establish that matrix acidisation reduced flows unless they tried it? And without permission to do so at that. Now we must be able to establish once and for all, what methods are permitted or not, what methods have been and will be used and what each vague disputed term actually entails in practice. And then of course we always return to that old chestnut, what actually defines fracking in all its incarnations and reincarnations of vague and ill defined avoidances of the word. Ever tried testing a core PhilC. Standard practice to test processes in the lab on drilled cuttings , full bore cores (preferable) and / or side wall cores. Lab tests are usually undertaken before executing an expensive process like matrix acidisation. I have no idea if UKOG did this but all operators I worked with undertook these tests to design any stimulation program and to determine the effectiveness. Fascinating, two of you now with no idea? It must be contagious? Actually in my formative years as an engineer, i was employed as part of a team to carry out boreholes on sites in UK and then to test with core sample analysis on solid cores for strength capacity under load and structural integrity for a site investigation company, you probably know their name. Good days, I enjoyed the lab work, but the taking of the cores and travelling early in the morning in the rain and freezing weather and the joys of towing a 30 foot rig around small roads was enjoyable but occasionally quite dangerous, particularly with some of the mad drivers, i had to shut my eyes far too often until i passed the rig driving tests, then i insisted on driving. But of course there were those summer days out in some beauty spot when it all seemed so perfect and worthwhile. But no of course not for fossil fuel purposes, not in those days anyway, by the time i became attached to the downstream processes abroad that work was done by specialist contractors. Those were often for new pump and compressor stations and fuel depots and underground water facilities. But i understand the technique if that is what you mean. That still does not explain however, how UKOG managed to establish that matrix acidisation would not produce the required volumes, and that the sludge gummed up the extraction process, that could only have been done by actually carrying out the process and measuring the results, and not from cores either, it must have been done in situ under the full conditions, otherwise the results would have been meaningless, and as we know now, UKOG did not have permission to carry out matrix acidisation from the EA did they? So if UKOG did that operation, it was done without the EA’s permission, so we return to Keith Taylor and the self regulation nonsense and the fact that gold standard world class regulations are a joke dont we? Perhaps there is some way you can make a crack at Mike Hill and David Smythe too over this? That seems to be a common trend? But there are consequences it seems? Quite expensive consequences apparently? This is fun Paul, we must do this again sometime…. Sorry PhilC. The cores are tested in the lab at reservoir conditions measuring permeability before and after acid (or any other treatment). The results are very indicative or what would happen down hole. Just one of several that can undertake this work. No need to be sorry Paul, i will be gentle with you, well, maybe a little. “1 Did UKOG use matrix acidising? “2 Did UKOG have permission for matrix acidisation? The coiled tubing is interesting, though perhaps not conclusive, the refusal to reply is more certain that there is something to hide. What really convinces me that cores although may have been tested by common practice, what really convinces me that UKOG used the on site full process of matrix acidisation in situ, is that the cores could not have revealed why the pores were being blocked by sludge, since only a full level on site test would have revealed just how much of a problem that would have revealed, a test core could not have revealed why the flow was poor, only that it was, and that would not have been significant since another core may not display those characteristics. i would have had many more cores taken and tested each of them in different conditions, but only an on site test would reveal the true reality. Because i used to carry out technical evaluations of statements and reports, as legally we were bound by legal conditions unless the parameters were correctly defined in legal terms and engineering terms, i trained myself to look for trigger words and phrases and one statement which contradicted, or complemented another, and ask questions of, “if that, then why this?” and to look for connections between one statement and the next that indicates a motive other than the one that is claimed. I am often amazed how lax and loose and woolly many of the fossil fuel operators accounts are and how open they are to another interpretations. My first impression is an attempt to obfuscate and disguise the issues, my second is at the very least inconsistency, my third impression is outright contradiction and suspicion of being economic with the truth considering their refusal(s) to reply. So, not convinced i am afraid, i realise that puts us at odds once again, but i am at least looking at what has been reported objectively. probably the only real solution, to use an interesting expression, is for UKOG to answer the question and for the EA to substantiate what happened on site. Until then we are both conjecturing. But of course, we both know that will not happen. Self regulation again isnt it. DOD are speculating PhilC. It suits them to infer they did a matrix acid job. Otherwise no article. Ruth has my thoughts on this directly, perhaps my comments didn’t suit the direction of the article. Coiled tubing is required for an acid wash. As DavidS also pointed out, all the relevant information can be gained by using cores from the well. Perhaps they did undertake a full blown matrix acid job. No big deal. Ah, but isn’t oil and gas exploration classed as speculation Paul? And yes it is a big deal, because UKOG does not have permission from the EA to carry out matrix acidisation do they. Self regulation, lack of EA ability or funding or staffing to be able to monitor and the joke of those illusive and toothless gold standard world class regulations again isnt it. Ruth and Paul at Drill or Drop are not at fault either, the language and the terminology that are used by UKOG are simply reported word for word and the questions that are asked are perfectly valid. Like I said before, I look for key words and phrases that indicate compliance in legal and engineering terminology, avoidance of correct wording os always suspicious. “The UKOG statement implies that matrix acidisation may have been used at Broadford Bridge. A coiled tubing unit was used at the site, which could indicate that the process was carried out. But a company review of the Broadford Bridge operation said “acidisation was not selectively administered to any specific limestone horizon”. That last sentence quote from UKOG rings alarm bells to anyone looking for avoidance of saying the truth. “acidisation was not selectively administered to any specific limestone horizon”. That is pure political wordplay worthy of Theresa May on her brexit speeches. And has about the same validity. Well that’s enough on that, I must finish these reports then I have the weekend off for once. Superb investigative reporting. Informed, detailed, logical and persistent – focus on slippery behaviour around language and regulation, both the energy companies and the government, as well as proper use of sources for accurate report of events . Forwarded over years to my parish council on the edge of a frack zone, it has kept/will keep us in a much bigger picture with an eye to the threats to local government as well as local struggles in country lanes. 7 – Fishbones does not necessarily require acid there are two types. Fishbones Jetting which yes uses a form of acid but it is not to fracture so your reporting is misleading!! At depth the needles are released by pressuring up the liner. The fluid jets out of the nozzles, and the formation ahead of the tubes is jetted away by a combination of erosion and acid chemical dissolution. Differential pressure across the liner drives the needles into the formation, and they penetrate the rock until fully extended. 4 laterals are installed at each depth. Small diameter hollow needles with drill bits and turbines are installed with and protected by the liner. At depth the needles are released by circulation of drilling fluid with the rig pumps at specified rates. Each needle is driven by a turbine powered by the fluid circulation. Three laterals are drilled from each Dreamliner sub and the laterals’ length can be up to 35.4ft / 10.8m. All laterals are drilled simultaneously. The laterals drilling operation is completed in few hours. Please update your news report so it is not misleading as usual. Does anyone else find the avatar “Bladesharp” less than appropriate considering the recent knife crimes in the UK? Because I find it very offensive, as offensive as the weaponisation of similarly inappropriate terminology on Drill or Drop these days. Speculation does invariably generate questions!! However, back to the substance. Looks as if UKOG are beginning to get a handle upon optimum methodology to use within the Weald, and it is a lot less exciting and scary than some would prefer. Unreported on DoD, as yet, it even looks as if Angus are taking some small steps. The best analogy for the Kimmeridge Clay Layer Is the Bakken, uncommercial before fracking started there, now fracked with 4-8 wells per square mile. If it was my money I would be asking why a gentle soak in 5% acetic acid isn’t the stimulation method of choice in the Bakken. Oh dear, Kathryn will be worried about this….but then there are a lot of chemicals used in wine making..
Looks like all sorts can go into water wells? If you are concerned about acid injection you should be more worried about it being used near the surface in the potable water table? Injecting acid into deep reservoirs that are not used for water does not have any impact.